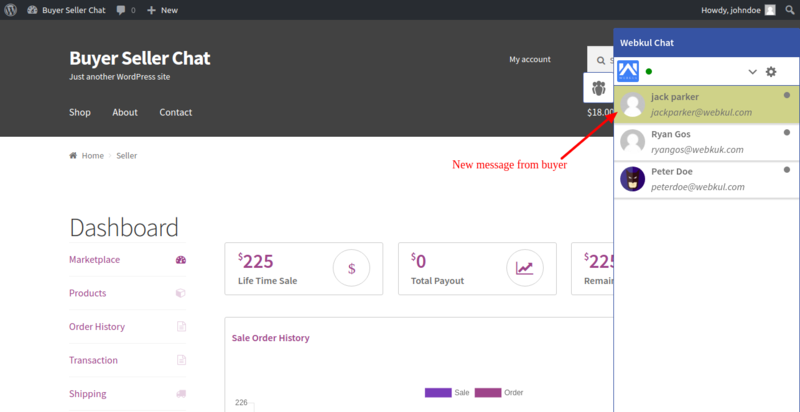 WordPress WooCommerce Marketplace Buyer Seller Chat Plugin enables a chat system between the seller and the customer. Communication is one of the most vital components for the sale of any product in the e-commerce industry. A healthy conversation between a buyer and a seller leads to more sales conversions. It is a user-friendly and customizable, where the administrator can customize the theme of the chat window and users list. The people in e-commerce apparently comes from various walks of life. Due to this reason, it becomes very important to add a communication link to the web store. 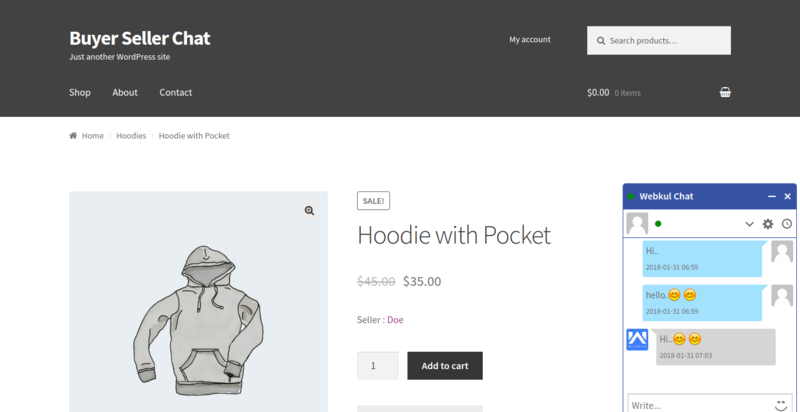 WordPress WooCommerce Marketplace Buyer Seller Chat Plugin is an add-on of WordPress WooCommerce Multi Vendor Marketplace Plugin. To use this plugin you must have – WordPress WooCommerce Multi Vendor Marketplace Plugin. 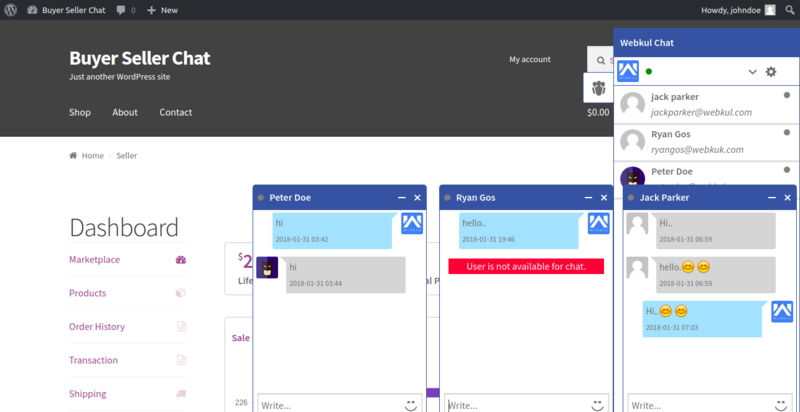 With the chat system build on Socket.IO, the customer can seller can build in a link with instant chat. That is, any query seller can reply to the customer queries in real time. The chat system here can be much attractive as both sellers and customer can share Smiley/Emoticon with each other while chatting. The theme of the chat can be altered by admin to provide a good user interface. The customer and buyer can maintain the record of communication in the form of chat history. Thus, both the buyer and seller can refer the same. The plugin can efficiently run on HTTPS to provide a more secure form of chat avoiding any sort of phishing attack. The buyer and seller will be receiving a frequent notification with regard to the chat displaying an alert with a sound and title of the message. If you still have any issue feel free to add a ticket and let us know your views at http://webkul.uvdesk.com/.